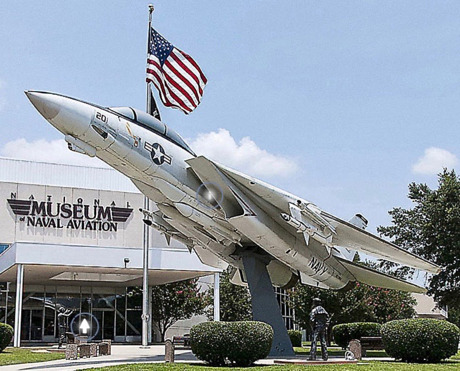 The Naval Aviation Museum (NAM) aboard NAS Pensacola is spectacular. Among the many important Navy and Marine Corps aerospace exhibits, are several items from the rich history of Coast Guard aviation. They have the first airplane to cross the Atlantic Ocean on display, the NC-4. It was commanded by Navy LCDR A.C. Read and piloted by the first Coast Guard aviator, LT Elmer Stone. There is also the Grumman Widgeon piloted by a Coast Guard Chief Radioman that sunk a U-Boat in the Straits of Florida with a single bomb unaided by any bomb sight. The NAS Cubi Point Officers' Club bar was moved piece by piece from the Philippines to the NAM and now serves as the NAM's restaurant and bar.